GEI provides geotechnical, environmental, water resources and ecological consulting and engineering services. We provide these services from planning and design through construction and operations. Our clients include government agencies, institutions, industries, developers, utilities and professional service firms. Maser Consulting P.A. is a privately owned, multi-discipline engineering firm with a unique balance of public and private sector experience. Known for its diversification of services, the firm offers a staff of licensed engineers, planners, surveyors, landscape architects, and environmental scientists. Our dedicated workforce consists of over 650 professionals in 23 offices nationwide. Wade Ray, founded in 1976, has become a leading regional contractor with a dynamic portfolio of successfully completed commercial, industrial, and institutional projects. Wade Ray continues to build on its accomplishments by: delivering quality products, providing superior customer service, maintaining the highest level of integrity, and taking every opportunity to exceed client expectations. RSC Architects enhances life through innovative architecture. The award-winning architectural firm has established itself as a leader in the design of higher education facilities, having worked with public and private universities and community colleges throughout New Jersey. 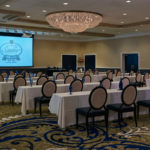 Our attentive team will be responsive to your needs and we will design a facility that helps you to achieve your goals. Today’s multi-purpose education environments require flooring that is comfortable, inspiring, environmentally friendly and durable. At Patcraft, we see flooring as the foundation on which teachers, students and faculty learn, research, work, share and explore. Patcraft provides flooring options and innovative solutions that improve learning environments…because flooring matters. ATRA specializes in providing janitorial supplies & training to educational institutions. Our goal is to provide products & services that reduce health & safety risks for both the users, students, teachers, faculty & visitors of your facilities, while minimizing potentially negative environmental impacts. We are proud to announce the opening of our 2nd location in Wall Township, N.J.! HAKS is a full-service consulting firm specializing in construction management/inspection, architecture/facilities design, engineering, land surveying, material testing and special inspections. One of the Eastern region’s largest CM firms, its CCM staff, registered architects, licensed engineers and LEED-certified professionals offer cost-effective guidance and sustainable solutions for any building project. B&B Contracting Group is a full service General Contracting and Construction Management firm. We specialize in campus upgrades, renovations and repairs. Dorms, classrooms, laboratories, gyms, libraries, cafeterias and physical plants and are all spaces to which we can offer our expertise. We understand what it takes to build safely on a busy campus to meet your seasonal schedules. Genesan offers high performance, ecological cleaning products, dilution control systems, training and customer support. 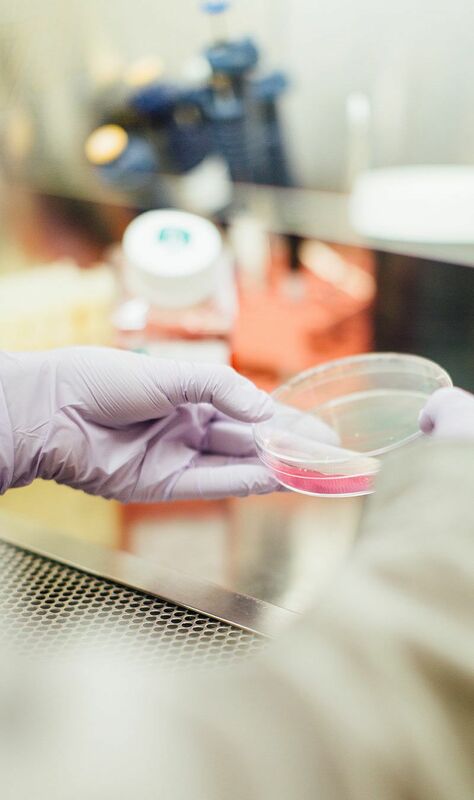 Our bio-based and biologically-engineered cleaning solutions balance performance, cost and true sustainability thinking, at all phases of the product life-cycle. Customers can source Genesan products through authorized distributors who are committed to uncompromising service and training. Together, we are fully committed to making cleaning easier. VHB’s team of engineers, scientists, planners, and designers provides consulting services to clients in the institutional, transportation, real estate, energy markets, and federal, state and local governments. VHB partners with clients from 22 offices along the east coast to enhance communities while balancing development and infrastructure needs with stewardship of our environment. www.vhb.com. Simplify Chemical provides education and technology for your custodial staff in the areas of floor care, green cleaning, GHS regulations, and more. Our staff with over 90 years of combined experience focuses on saving the institution money, increasing safety, and increasing the overall quality of cleaning in any facility. Spiezle Architectural Group, Inc. is a 50-person, full-service regional architectural and planning firm celebrating 60 years of award-winning, client responsive design experience. Spiezle is known for our creativity, financially responsible problem solving approach, and personalized service. For more information on our firm, please visit: www.spiezle.com. Harrington, established in 1958, is the area’s most experienced providers of construction and landscape services. Harrington oversees projects from small masonry and landscape maintenance jobs to large site development projects. Our clients quickly become aware that they can rely on our experience as a leader in the construction field to insure project completion on time and within budget. Whitman, a full-service engineering firm, established in 1985 and based in Cranbury, NJ specializes in energy efficient analysis and design of mechanical, electrical, and plumbing systems in the educational and commercial sectors. We are supported by our in-house environmental group and system process group. Whitman is experienced in both privately financed and publicly funded energy projects. Brinkerhoff Environmental Services, Inc. has an outstanding reputation for facility-related environmental services. NJDEP Licensed Site Remediation Professionals (LSRP) and Asbestos Management personnel oversee Phase I Environmental and Hazardous Materials Assessments; Environmental Planning and Permitting; UST Management and Remedial Design. Free Initial Consultation. SERVPRO of Central Union & Western Essex Counties specializes in the cleanup and restoration of commercial property after fire, smoke or water damage. We can also mitigate mold and mildew. Rest assured our staff is equipped with the right knowledge to restore your property. With nationwide presence, no damage is too large or too small for SERVPRO of Central Union & Western Essex Counties. Pennoni Associates, established in 1966, is a multi-disciplined engineering and design consulting firm that provides personalized services and solutions to meet the needs of a diverse client base. We are a firm with a solid foundation of long-term clients who we value and consider part of the Pennoni family. We are employee-owned and have been recognized as a Best Places to Work in both PA and NJ. Farewell Architects creates functional, well crafted solutions that provide long term value. We focus on program and the qualities of each institution in striving to make campus spaces, buildings, and interiors that significantly enhance the overall environment. We integrate sustainable practices into our design process and work collaboratively with institutions to realize the best solutions. InterfaceFLOR is the world’s largest modular carpet tile manufacturer. Our products install without glue, have the ability to replace a tile without noticing, are made from old carpet, are 100% solution dyed, and are climate neutral. Quick Ship products ship in (5) business days. Mission Zero is our promise to eliminate any negative impact our company has on the environment by the year 2020. 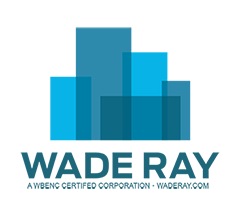 Tozour Energy Services is the energy engineer-procure-construct firm and consulting division of Tozour Energy Systems, a full-service HVAC and building automation provider. Tozour offers innovative solutions for energy reduction projects, onsite power generation, retro-commissioning, performance testing, energy assessments, heat recovery systems and thermal storage. www.tozourenergyservices.com. Integrated Project Services is a global leader in developing innovative and cost effective solutions for the engineering, sustainability/energy, construction and commissioning of complex facilities to deliver capital projects and improve operations. Headquartered in PA, IPS is a multi-national company with over 700 professionals located in IN, MA, NJ, NC and four locations in India. Nalco’s dedicated College/University business group is the leading water treatment group for all your water related needs. Nalco has specific training/certification, cooling/boiler programs that provide a return on your investment. Using our Six Service Standards, you can count on consistent service and the best technology to support your operational needs. For further info visit www.nalco.com. 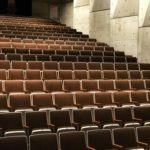 Sightlines is a leader in measuring, monitoring and benchmarking the facilities and capital investments of over 200 colleges and universities. We have developed the largest verified database of facilities metrics in the country and provide the context to plan effectively and make informed decisions. For more information, visit our website at www.sightlines.com or contact us at 203-682-4950. 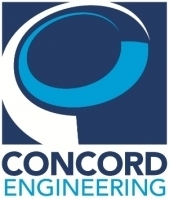 Concord Engineering Group is a mechanical, electrical and energy consulting firm located in Voorhees, NJ. With Concord Atlantic Engineers in Atlantic City, we are a 100 person firm specializing in facility design, onsite power and distribution systems. CEG/CAE focuses on energy master planning, energy auditing, combined heat & power, electrical, thermal piping, and central plant design, full MEP&F facility design for higher education, hotel/casino and industry. Langan Engineering & Environmental Services (www.langan.com/201.398.4513) provides integrated landscape architecture, planning, and site design services to campus and institutional clients worldwide. With 125 LEED APs, Langan is at the forefront of the sustainable design movement, helping to transform aging campuses and neighborhoods into vibrant learn/work/live destinations. A full-service engineering/architectural firm specialized in supporting organizational campuses of all sizes since 1981. Energy, environmental, and facilities and systems are key areas effecting your organization that our planning, design, and audits/assessments teams focus on, so you make better decisions and accomplish your goals..
Insurance Restoration Specialists, Inc. (IRS) is a full service Disaster Recovery and Environmental Services firm in business for over 25 years. Our services include HVAC cleaning, Biohazard, Sewage, Remediation, Fire Damage, Water Damage, Spill Response, and Mold. Please visit our web site for more information. Or call our 24-hour hotline at 800-634-0261. Do not stress, call IRS! BRAVO! is one of the largest facility support service companies in the country, providing housekeeping and facility services throughout 15 states. BRAVO! currently services over 65,000,000 sq ft of facilities and college campuses including Drew University, Princeton University, George Washington University and Harford Community College. 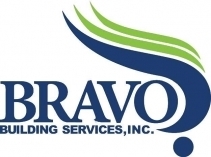 Visit our website www.bravobuildingservices.com or email mamoroso@bravobuildingservices.com for additional information. Odorox’s patented hydroxyl processors destroy 99.999% of germs, bacteria, mold, mildew, volatile organic compounds (VOCs) and viruses in the air and on porous and non-porous surfaces, which can cause illness and infections. Ideal for educational facilities, healthcare facilities, residential and commercial properties, and industrial facilities. FDA approved and safe to use in spaces occupied by people, pets, and plants. Visit www.odoroxair.com for more info. Hunter Roberts Construction Group is a leading construction management firm providing a broad range of services to a diverse client base. Our organization services clients with projects in New Jersey, New York, Pennsylvania & Connecticut. Our work is performed under varying types of contracts from negotiated cost guarantees to pure construction management agreements to lump sum competitive bids. Taylor Wiseman & Taylor has provided clients with professional engineering, surveying, environmental science, subsurface utility engineering, landscape architecture and planning services since 1901. With 150 employees in 8 offices throughout New Jersey, PA, MD & NC we provide our clients with strategic advantages and innovative solutions. Please contact Mark Mayhew, PE at mayhew@taylorwiseman.com. KS Engineers, P.C. (KSE), is an award-winning, multi-disciplinary MBE/SBE with offices in New Jersey, New York and Pennsylvania. Founded in 1991, KSE is a leading provider of Civil, Structural and Geotechnical Engineering, Landscape Architecture, Land Surveying and Construction Management/Inspection services. Please visit our website at www.kseng.com. DI Group Architecture is one of NJ’s largest architectural, planning & design firms. The combined experience of the firm’s principal’s exceeds 200 years in all types of projects and budgets ranging from $1,000 to more than $100 million in construction costs. From project inception, our clients quickly become aware that they can rely on our experience as a leader in design to ensure a successful project. Blackney Hayes Architects is a 50-person, full service architecture and interior design firm with offices in Philadelphia, PA and Egg Harbor Township, NJ. For more information on the firm, please log onto: www.blackneyhayes.com. Please feel free to contact Voula Liacopulos, Director of Business Development, at vliacopulos@blackneyhayes.com for more information on the firm.